One of the key roles of the EU’s Court of Justice is to examine and interpret EU legislation to ensure its uniform application across all of those member states. The Court is also called upon by national courts to clarify finer points of EU law to progress local cases with Europe-wide implications. One such case, referred to the CJEU by Sweden’s Court of Appeal, is of particular interest to Internet users as it concerns the very mechanism that holds the web together. The problem came when Retriever published links to articles published on a newspaper’s website that were written by Swedish journalists. The company felt that it did not have to compensate the journalists for simply linking to their articles, nor did it believe that embedding them within its site amounted to copyright infringement. The journalists, on the other hand, felt that by linking to their articles Retriever had “communicated” their works to the public without permission. In the belief they should be paid, the journalists took their case to the Stockholm District Court. They lost their case in 2010 and decided to take the case to appeal. From there the Svea Court of Appeal sought advice from the EU Court. Today the Court of Justice published its lengthy decision and it’s largely good news for the Internet. “In the circumstances of this case, it must be observed that making available the works concerned by means of a clickable link, such as that in the main proceedings, does not lead to the works in question being communicated to a new public,” the Court writes. “The public targeted by the initial communication consisted of all potential visitors to the site concerned, since, given that access to the works on that site was not subject to any restrictive measures, all Internet users could therefore have free access to them,” it adds. 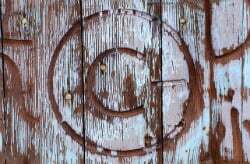 However, the ruling also makes it clear that while publishing a link to freely available content does not amount to infringement, there are circumstances where that would not be the case. “Where a clickable link makes it possible for users of the site on which that link appears to circumvent restrictions put in place by the site on which the protected work appears in order to restrict public access to that work to the latter site’s subscribers only, and the link accordingly constitutes an intervention without which those users would not be able to access the works transmitted, all those users must be deemed to be a new public,” the Court writes. So, in basic layman’s terms, if content is already freely available after being legally published and isn’t already subject to restrictions such as a subscription or pay wall, linking to or embedding that content does not communicate it to a new audience and is therefore not a breach of EU law. The decision, which concurs with the opinions of a panel of scholars, appears to be good news for anyone who wants to embed a YouTube video in their blog or Facebook page, but bad news for certain collecting societies who feel that embedding should result in the payment of a licensing fee.